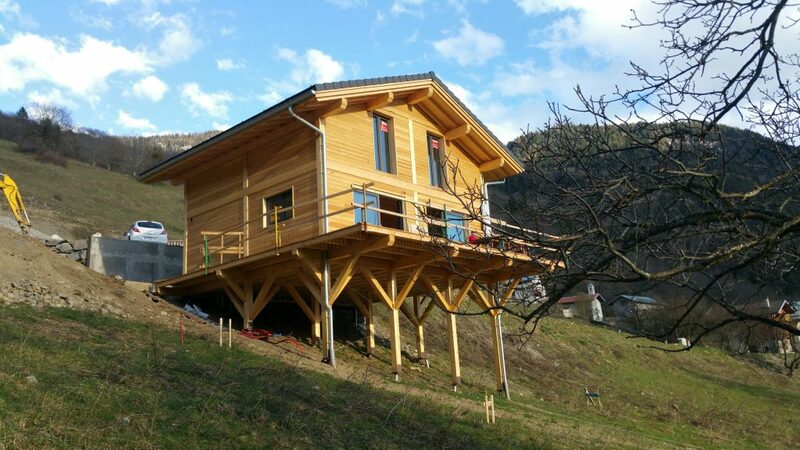 Hillside Deck Footing Solutions: Helical Piles on a Slope - Techno Pieux Inc. 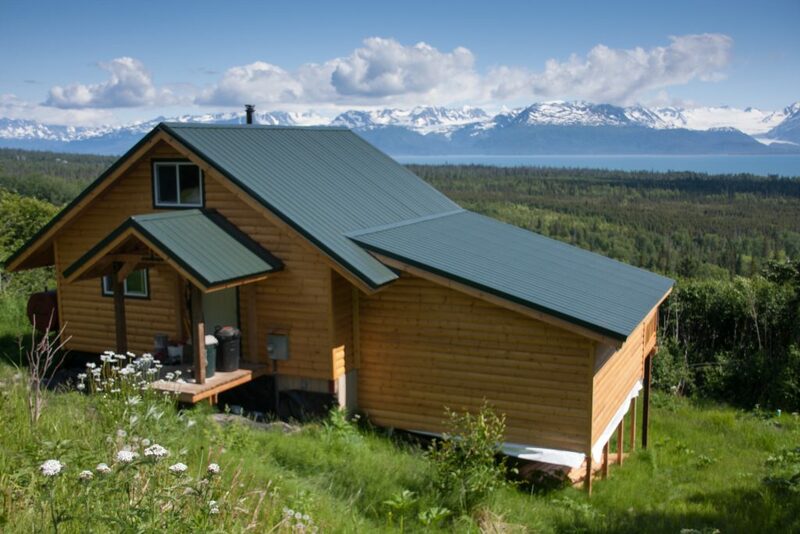 Wanting to expand your living space to the great outdoors, but you live on a slope? Longing to create a little slice of paradise by building a deck, or extending your hillside home? Looking for the seamless flow from indoor-to-outdoor living, but feel restricted by your property? There is no need to feel discouraged because your yard is on slope; you can still have a beautiful hillside deck or extension. That sloping hillside is an opportunity for a unique and stunning outdoor sanctuary. With Techno Metal Post your environment will not limit you. It is completely feasible – and simple – to build a strong, durable, and secure foundation on a backyard slope. Techno Metal Post has the ideal deck footing answers for hillside decks and other structures. That slope is no longer an obstacle; it’s an opportunity for effortless creativity and peace of mind. 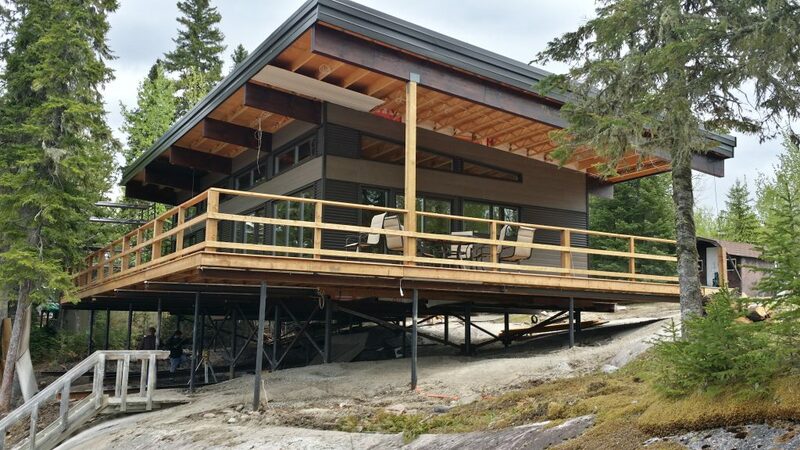 With our specialized installation equipment and our accomplished engineering department, Techno Metal Post can design a foundation for your hillside deck project or extension. Access to your property is not an obstacle. In fact, we love steep slopes. 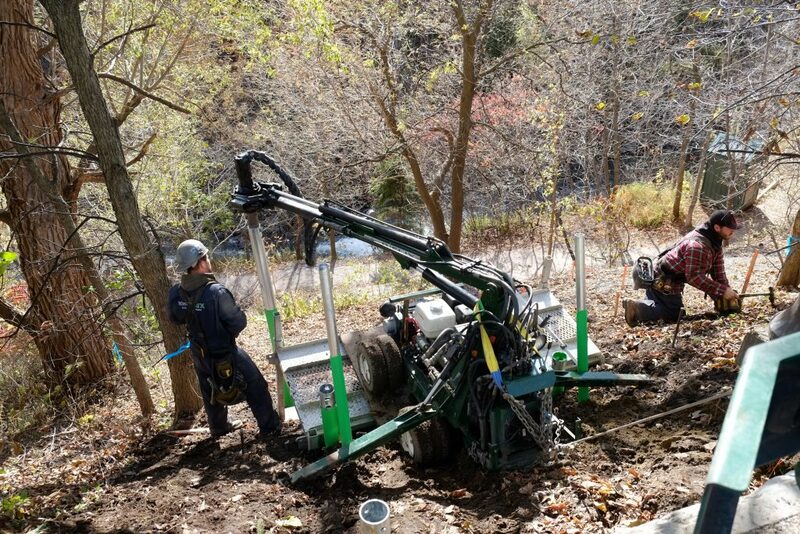 Our machines can easily maneuver around landscaping, fences, sides of buildings, and precarious hillsides, with no digging or damage to your property. Techno Metal Post’s powerful and versatile equipment is created to move around very narrow spaces, and to get through tight and hard-to-reach areas, including steep slopes. Techno Metal Post provides expert in-house engineering services for your deck footings. Our highly skilled engineers know helical piles and will oversee the analysis and certification of your deck footings. When assessing your project, they will take into consideration lateral loads, compression loads, and uplift, and will recommend different products for different situations. They will determine which piles to use, depending on the structure that needs supporting, the soil’s characteristics, and angle of the slope. Whether you are a homeowner, a contractor, or both, Techno Metal Post is the perfect solution to meet your needs. As Paul Lafrance (June 3, 2017) says, “The deck ‘should’ be a true extension of the home that carries your living space from the indoors to the outdoors…We want our interior living spaces to make us feel good when we spend time in them. So why would we settle for anything less from an outdoor living space?” (“Re-Thinking the Deck with Paul Lafrance”). Techno Metal Post’s helical piles and innovative technology ensure that your investment remains strong, stable, and long-lasting, guaranteeing many happy years of easy indoor-outdoor flow.